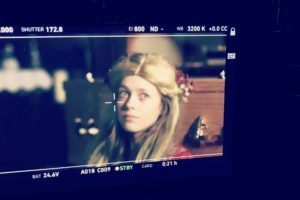 It’s been an exciting time for Elsie, Prince Of Denmark – not only did we wrap on principal photography but we also hit our Kickstarter funding target. The visually-ambitious 15 minute short tells the story of teenage Elsie who fiercely protects her right to not know what she wants to be when she grows up – by using the tropes of Hamlet. 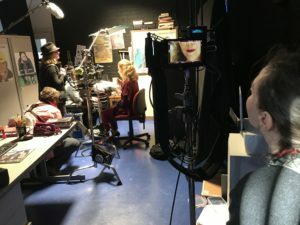 Our main shoot took place in Peterborough with a shadow crew and supporting cast of local students, before the unit moved to Berkhamsted for a day of additional interior scenes. The majority of the budget was met by funding from Seedbed, a charity that supports creative projects in areas of the UK with low engagement in the arts. DOP Kate Swain on set with Sally Phillips. Director Brek Taylor eyes the monitor. But we were more than heartened to receive huge public support too via Kickstarter, meeting our £5000 additional fundraising target. 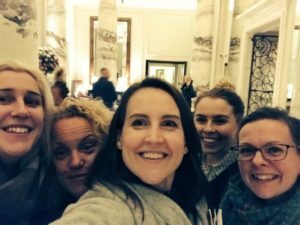 The film not only gave focus to young people in Peterborough and to regional stories – it was also staffed predominantly by talented women, to go some way to right gender imbalance behind the camera. 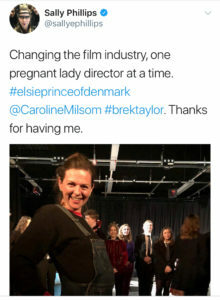 Elsie, Prince of Denmark goes into post production over New Year for screenings and festival appearances in 2018.